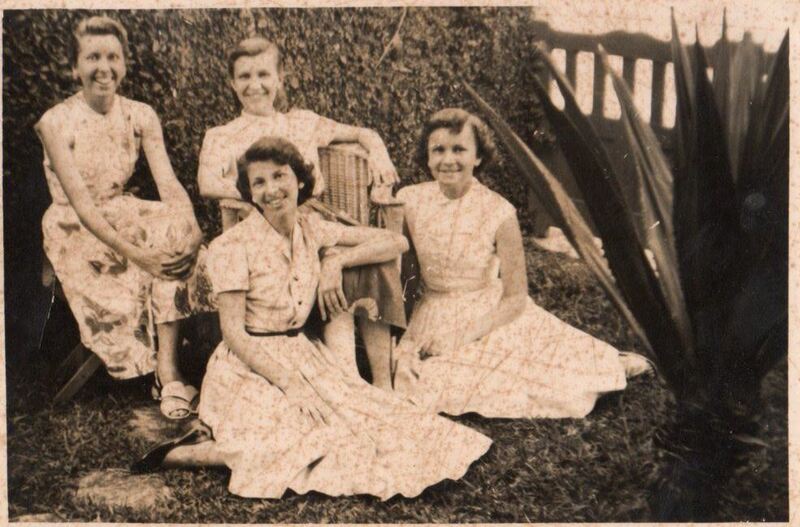 Maria Helena (centre), with three of her five sisters, in Niterói, Rio de Janeiro, in the 1950s. MA from the Federal University of Rio de Janeiro in 1974 – with the dissertation Renitente horizonte dos meus olhos (Unforgiving horizon of my eyes) – and presented her professorial thesis, Estes trapos de frases (These rags of language), at Fluminense Federal University in 1975, both on the work of Samuel Beckett. She was at Queen’s University, Belfast, for a post-doctoral fellowship in 1985, as visiting scholar in the Irish Studies Institute, and Honorary Research Fellow of the English Department. She was a highly accomplished and sensitive translator and frequently worked in collaboration with the famous Brazilian concretist poet Haroldo de Campos. Her legacy of translation includes poems, plays, and short stories – as well as the Samuel Beckett lyrical prose piece, Ping – translated into Brazilian Portuguese, and also texts of Brazilian authors translated into English. She was Vice-President of ABEI, the Brazilian Association for the Study of Irish Literatures.